A dishwasher doesn't just need repairs on the inside. Sometimes, the front panel door needs to be replaced for different reasons. 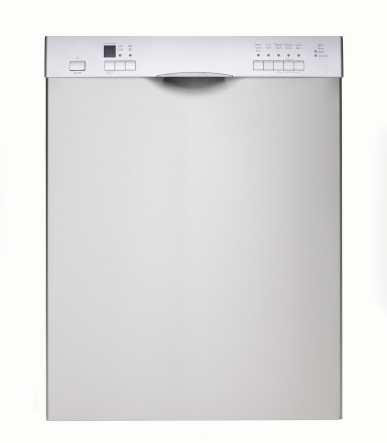 Whether you're looking to replace the front panel door of your dishwasher with a custom door or need a new one for technical reasons, you can do so in a few short steps. Like any household project, it's important to know that working on appliances can be dangerous. You should always use the correct safety equipment and proper tools, along with the instructions. This type of replacement can be done on your own as long as you feel confident enough to pursue the task. Grab some work gloves and a Torx screwdriver to begin. You're going to be working with an appliance that has electrical parts, so it's critical you don't start until you shut off your circuit breaker that controls the power in your home. To ensure the power is completely off, be sure the display on the control panel is off. Take out the Torx screws that are located on the inside of the dishwasher door panel, holding the outside of the door in place. When you remove the last two screws, hold the outdoor door panel with one of your hands to prevent it from falling. Next, gently lower the outer panel on the dishwasher door and remove, and put the panel to the side to dispose of it. Depending on the dishwasher you have, you may have to loosen the screws responsible for making the control panel secure on the top portion of the door. However, you won't have to completely remove them. Now, remove any screws that are attached to the indoor door and outer door panel. Once you remove, gently lift and the lower the outer panel. Place the outer panel on your door. Add two screws so they are held loosely in place. Once you do that, put in the remaining screws and tighten them by hand. When they feel tight, start tightening them approximately a quarter turn, and they should feel firm. Although you want them firm, don't overtighten the screws as it will cause damage and cracking to your door panel. It might be easier if you had someone hold your new door panel still as you insert the screws loosely. Now that you have your door panel back in place, turn on the switch to your circuit breaker. Confirm there is working power to the dishwasher. It should show that the display is working and lit up once you turn the electricity back on. If you see the control panel light up, make sure the control buttons are working.